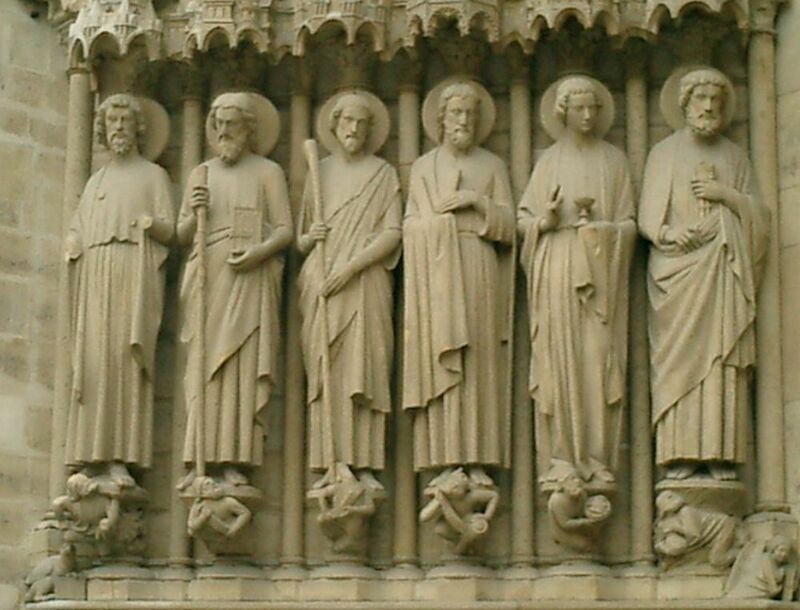 Half of the Apostles – and a Holy Grail Mystery! As you can see, the second one from the right (oddly) sports no beard. Could this perhaps really be Mary Magdelena? After all, this figure is carrying a chalice . . .
Another mystery for me to clear up one day!